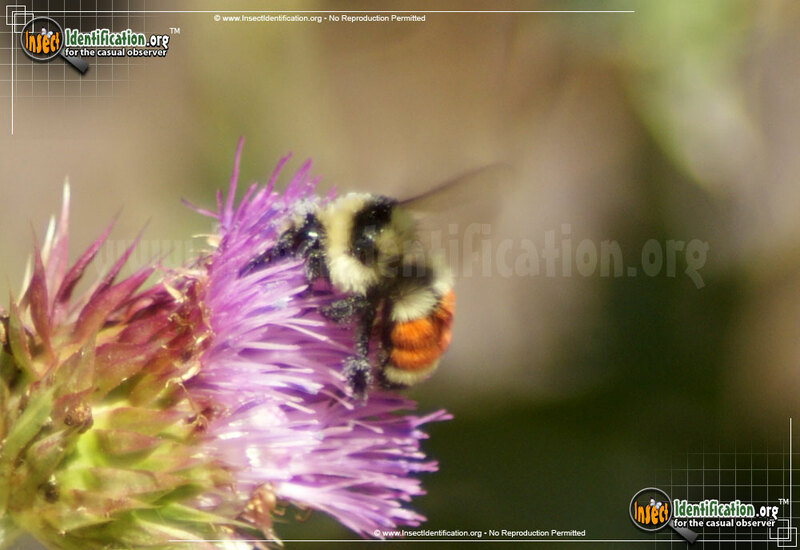 Detailing the physical features, habits, territorial reach and other identifying qualities of the Tri-colored Bumble Bee. The Tri-colored Bumble Bee goes by many common names, but its trio of colors always elicit the same reaction: curiosity. 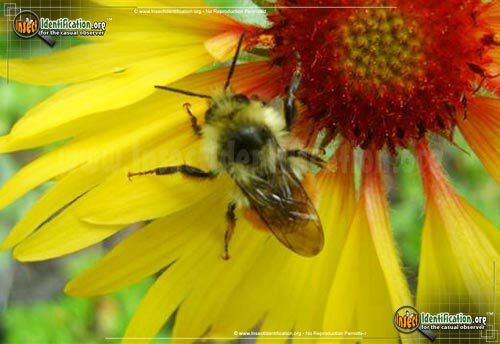 While most bumble bees adhere to the typical yellow and black coloration, this particular species has a flourish of bright orange-red on the abdomen. The orange color is intense enough to be noticed by observers from a sizable distance. The abdominal color pattern is the same for each individual: one band of yellow, two orange-red, another yellow and then two bands of black. Another part of their body that may look orange are the pollen baskets on the hind legs, for these bumble bees collect it and make honey, just like the much smaller honeybee. The amount is not enough for commercial purposes, but it is enough for the bees. Pollen grains determine the color of the baskets, so they will change color depending on what type of flower the bumble bee is collecting from. Nests are made in the ground and are lined with honeypots. Workers collect pollen and bring their full pollen baskets back to the nest where the pollen is made into honey. Larvae are fed honey until they develop into adults. Adults drink nectar and may also eat some of the honey in seasons of nectar scarcity. Drones also exist in this species, providing mates for the queen. Only newly developed queens will survive the winter. In spring, a queen will lay her fertilized eggs and populate her own nest with more workers and drones. Buzzing Tri-Colored Bumble Bees can be found in gardens, parks, open fields, and meadows where they will forage for pollen. They are most active in the summer months.